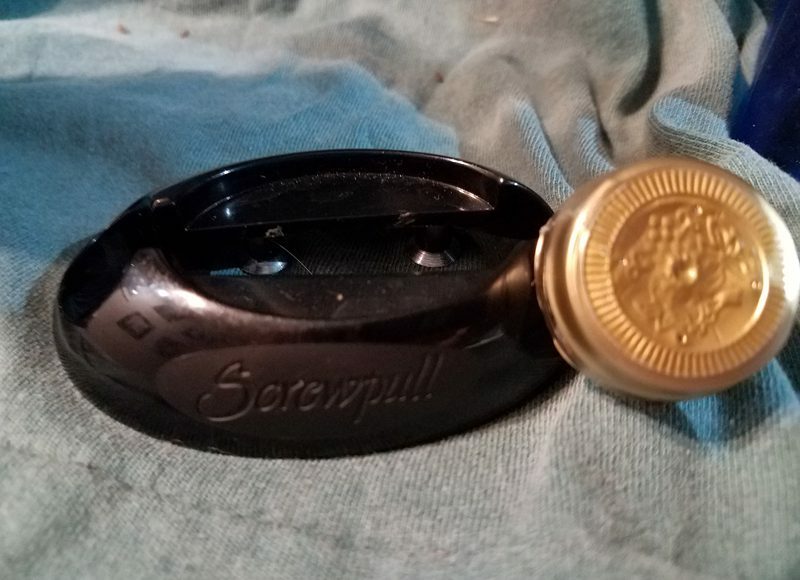 When you bring home a bottle of wine that has a cork enclosure, chances are that the top of the bottle will be protected by a foil or plastic sheathe. This sheathe keeps the cork from getting dirty or moldy. It also helps protect it from mice or other small creatures eating away at the cork. So the first step of opening the wine bottle is to remove the top of that sheath. Sure, you can claw at it with your fingernails, or take a knife and try to cut around the foil with your knife, but it’s much safer and easier just to use a foil cutter. These devices are small, inexpensive, and have built-in blades to cut away that foil. You just put the foil cutter on top of the bottle, squeeze, turn it in a circle, and voila. The top is removed.